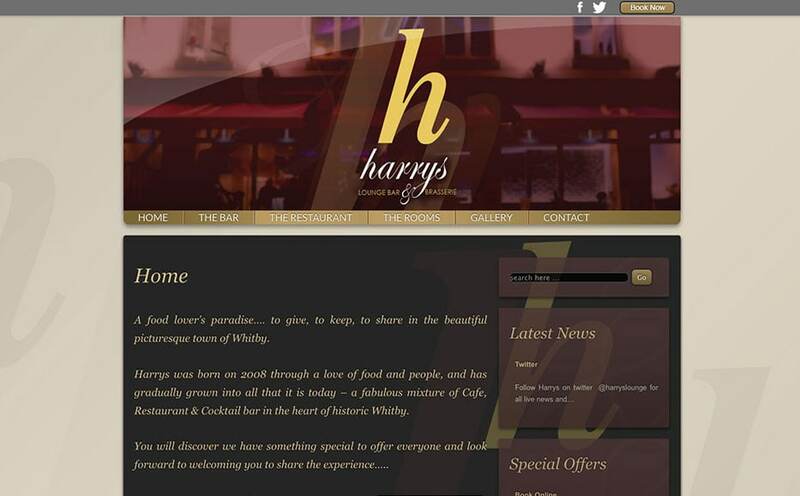 Harry’s Lounge Bar was established in 2008 “through a love of food and people”, and is a mixture of Cafe, Restaurant and Cocktail bar. It is situated opposite the fish quay on the harbourside. Media Vision was provided with a menu and logo and from this we created a website that reflected the look and feel of these printed guidelines. The website features a booking system based on the OpenTable platform. 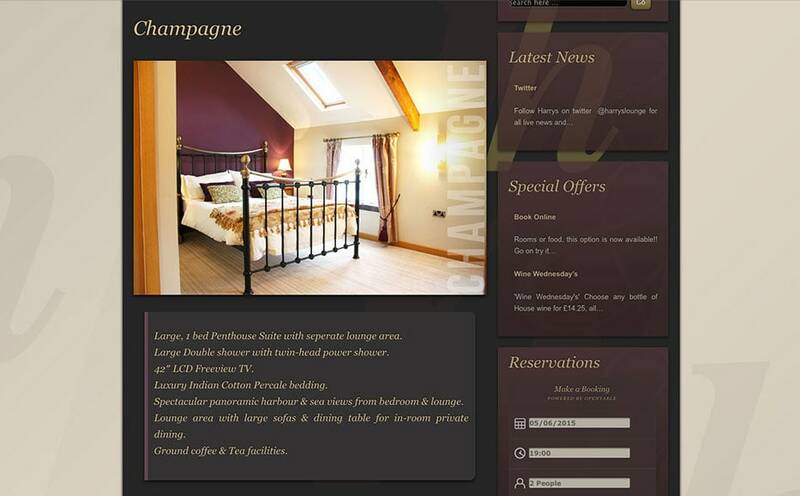 We ensured that the system looked completely integrated with the look and feel of the website. Media Vision took all the photographs on the website. We also created interactive 360° panoramas of both the Bar and the Restaurant.